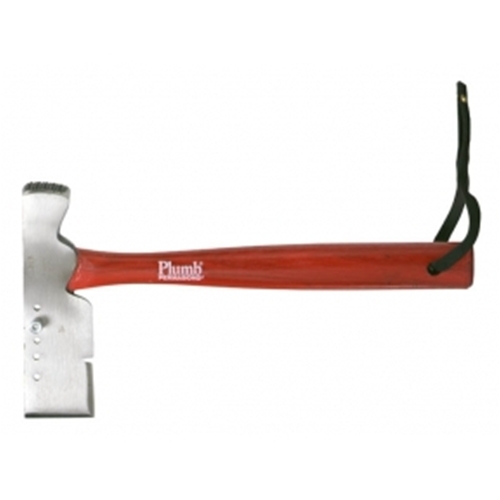 #565 1/2 Plumb Hatchet with Gauge with a 2-1/8" Cutting Edge. It has a Rust-retardant black head finish with a Checkered face. Adjustable gauge, suitable for metric and standard shingle dimensions. Draw knife inner blade. Permabond chemical welding of tool eye. High quality hardened and tempered forged steel. Hickory handle with leather strip.